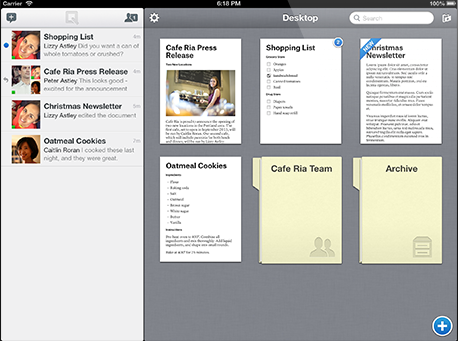 Quip, the service that lets multiple users create and edit documents simultaneously, is now available in Europe. Available on desktop platforms, as well as iOS and Android, Quip automatically saves changes from all users, syncing between devices and providing notifications to others when a change has been made to a document. Behind Quip is FriendFeed founder and ex-Facebook CTO Bret Taylor and founder of Google App Engine and Google Suggest Kevin Gibbs. The expansion into Europe marks its first foray outside of the US, although it did only launch there last month. Consumer use of Quip is free, while businesses can get access for $12 per month, per user.